Indietracks - an indiepop festival: Become an Indietracks volunteer! As the festival grows in size we have decided to expand our team, and this year we are looking for volunteers for two positions - stewards and stage assistants. You must be able to arrive on site by midday Friday 23rd July for induction and site preparation and be available to work throughout the days on 24th and 25th July. Please note you will have to make your own way to and from the festival site. 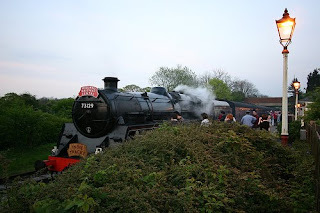 Please download an application form here and, once you've completed it, send it to indietracksvolunteers@gmail.com If you would like to apply to work with a friend, mention this in the comments and we’ll do our best to make it happen. We all know indiepop kids are enthusiastic (!) but I would recommend you do split shifts. Even if people have breaks I wouldn't recommend trying to get people to work 10 hour days. Especially if they will not get a hot meal and just sandwiches from the buffet. All festivals I have worked at in the past require a shift of four hours a day. I think this works out better as you have staff motivated each day (not too tired). The staff also benefit from getting good experience plus a chance to see some bands. There's free entry, camping and food and drink vouchers, but it's not paid other than that. Thanks for the comment about splitting shifts, I'll pass this on to the people organising the volunteers.